BlackRock helps investors build better financial futures. As a fiduciary to our clients, we provide the investment and technology solutions they need when planning for their most important goals. As of December 31, 2018, the firm managed approximately $5.98 trillion in assets on behalf of investors worldwide. For additional information on BlackRock, please visit http://www.blackrock.com | Twitter: @blackrock | Blog: http://www.blackrockblog.com | LinkedIn: http://www.linkedin.com/company/blackrock. BlackRock is one of the world’s preeminent asset management firms and a premier provider of global investment management, risk management and advisory services to institutional, intermediary and individual investors around the world. BlackRock offers a range of solutions — from rigorous fundamental, quantitative and alternative active management approaches aimed at maximizing outperformance to highly efficient indexing strategies designed to gain broad exposure to the world’s capital markets. Our clients can access our investment solutions through a variety of product structures, including individual and institutional separate accounts, mutual funds and other pooled investment vehicles, and the industry-leading iShares® ETFs. BlackRock’s ETFs and Index Investments (EII) team manages more than $3.2 trillion in global index equity assets across Global Developed Markets, Emerging Markets, Commodities and REITs. The group offers index equity investors one of the industry's broadest arrays of investment choices. Our clients include corporate pension plans, public pension plans, central banks, sovereign wealth funds and other institutional investors. The Investment Platform team within EII is seeking to expand in order to improve business efficiency and scalability. This business-side role entails working with Portfolio Engineers, other members of the Investment Platform team and the BlackRock technology teams, in order to build a best-in-class investment platform. The person filling this role will facilitate the development and maintenance of portfolio engineering systems for index investment processes. A successful candidate will be able to understand the index equity portfolio construction process and will be able to reliably build and deliver working code that both serves the immediate need and is robust and extensible enough to evolve and support scale as our business grows. 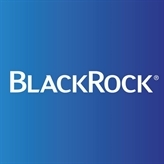 Want to get notified about new jobs at BlackRock?